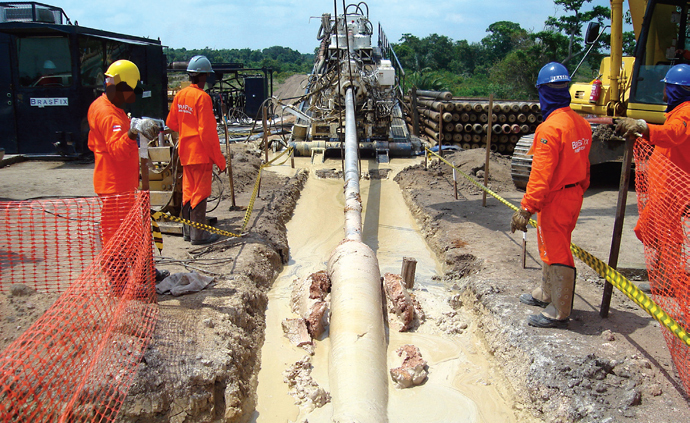 Following the philosophy of always presenting the ideal solution for any challenge faced in geotechnical engineering, Brasfond Group offers various techniques and technologies for the installation of pipelines, given different operational objectives. Technology for insertion os pipelines developed and patented by Brasfond USA. The flow of oil and derivatives between production sources, refineries and consumption centers can be accomplished by ships, tankers and pipelines. However, the pipelines are usually the most economical way to transport large volumes of oil, derivatives, and natural gas over long distances. 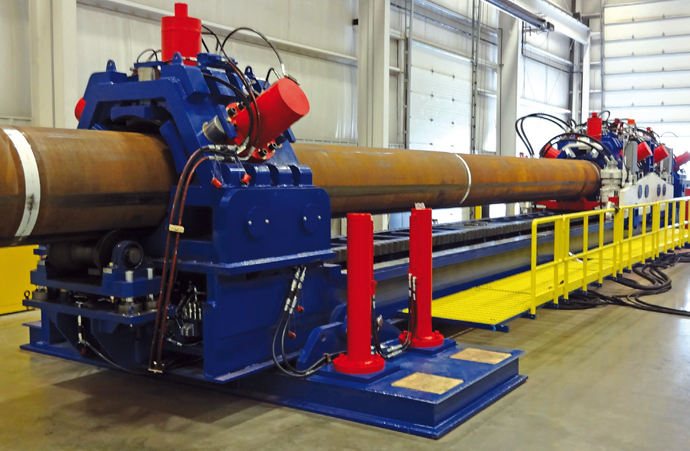 The Brasfond Group, through Brasfond USA, developed and patented a new technology for pipeline insertion, with the Pipeline Insertion System and automated welding system. The Pipeline Insertion System holds global patent US 8,727,666 B2. The system is designed to install pipelines in both open and blind tunnels, open cut trenches, wet areas (swamps) and environmental areas, difficult to access job sites, and long distance pipelines. View of equipment and control cabin. 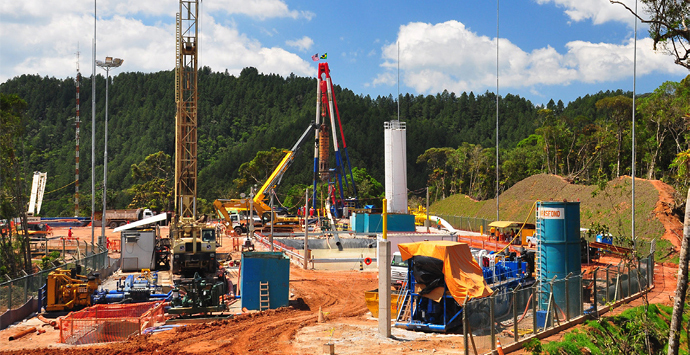 Brasfond recently introduced Brazil to a new drilling technology for Deep Shafts called Blind Shaft. This method, as opposed to the Raise Boring process, executes the widening of the pilot hole from the surface, i.e., from top to bottom, which eliminates the previous existence of a tunnel or gallery in the far lower portion, providing a significant time-to-delivery reduction. Fast and safe, the Blind Shaft reaches depths greater than 2,630 ft (800m) and diameters of up to 315" (8.00m), wide in a single pass. The use of the latest down-hole motors (Rotary Vertical Drilling System) for drilling the Pilot Hole provides the process with a unique capability to maintain the verticality of the hole, achieving results under 0.10% of vertical deviation. Execution of 4 deep shafts with a diameter measuring 79" (2.00m) wide and a depth of 1840 ft (560m), and installation of pipes. BTC, a company of the Brasfond Group, executes tunnel excavations in soil and rock for basic sanitation projects (interceptors and trunk sewers), energy generation (adduction), Highway, Railway, or Subway tunnels, O&G market, and others. 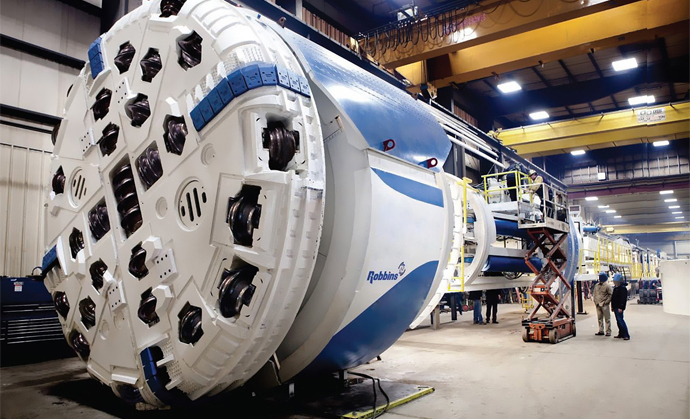 The reduction of delivery dates for the construction of tunnels by using the TBMs with their resulting cost savings begins a new phase of Brazilian civil construction. 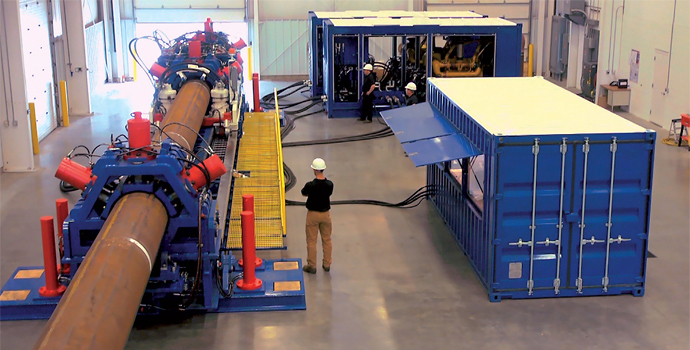 The building processes and techniques used previously, such as Drill and Blast, give way once and for all to the non-destructive mechanized process – a clean process without harming or impacting the environment. Horizontal Directional Drilling (HDD) is the process where pipes or cables cross large areas (built or not) without the need for opening ditches, making it a non-destructive process. The main advantages of its use include the precision when executing the projects and the low environmental impact. Installation of tpipeline with a diameter of up to 36" for the crossing of 20" + 4" piping, totaling more than 13,200 ft of installed pipes. Specifications, construction sequences, case studies.